The most sensitive medium throughput MEA system with multiple wells. Ideal for stem cell-derived cardiomyocytes/neurons. 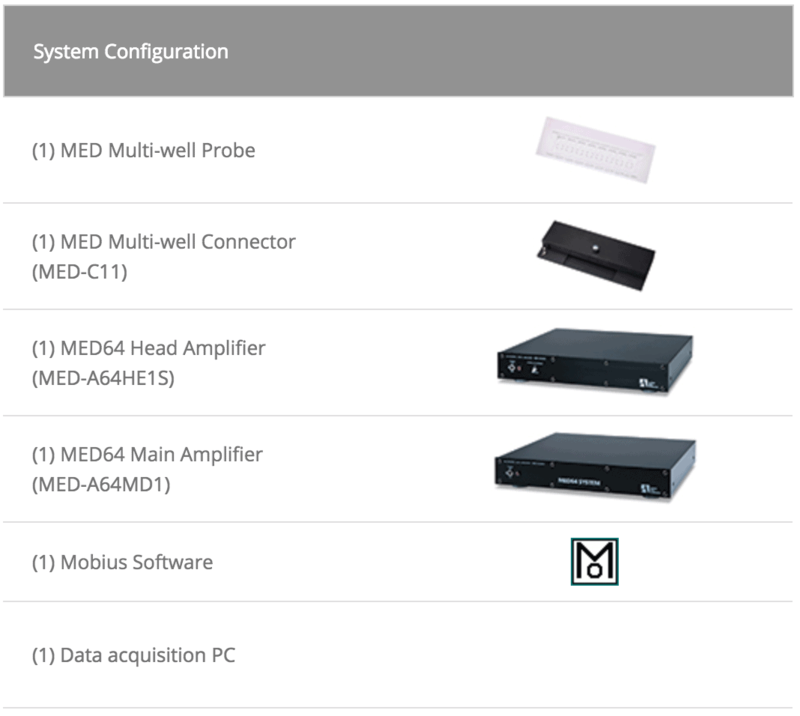 MED64-Allegro System is a medium throughput MEA system for cultured applications. It is an ideal solution for stem cell-derived cardiomyocytes or/and neurons. The MED64’s high fidelity will provide more accurate and reliable data allowing advanced screening as well as analysis during the testing. Acquire extracellular signals from 4 or 8 samples. Stimulation through 1 or 2 electrodes per sample sequentially. 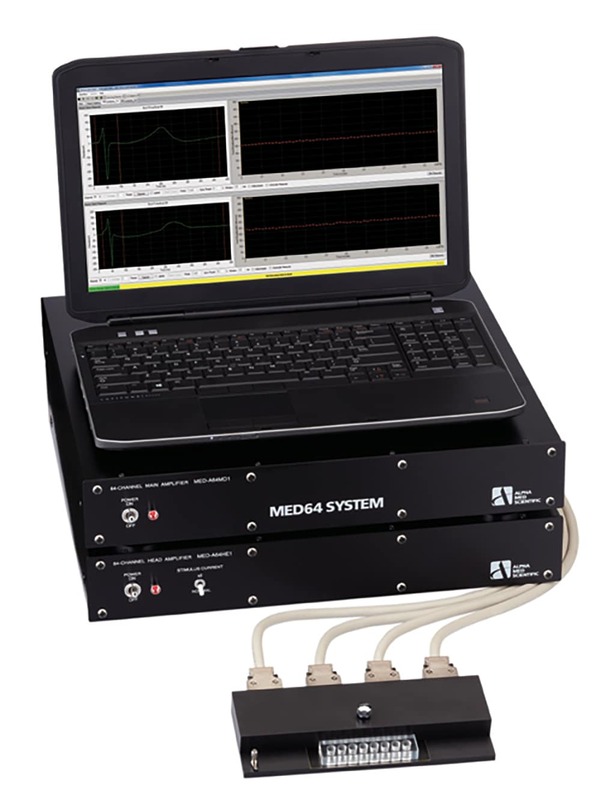 Low-cost shift to MED64-Quad II/Basic System.